Which workout is better – crunches or planks? When we’re talking about developing a lean, rock-solid core, some exercises are better than others. The truth is, the key to a defined midsection is always going to come down to diet. We’ve all got a 6-pack, but there’s layers of body fat covering it! With that being said, getting the most bang for your buck and torching body fat is much easier when doing planks and other plank variations instead of crunches. In terms of overall effectiveness, planks activate muscles throughout your entire body, which causes more calories to be burned than from just doing crunches. When it comes to overall safety, planks are also the winner here as well! 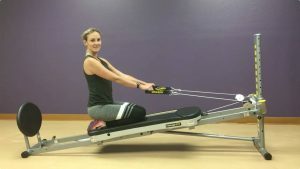 Crunches have been known to cause back and neck injuries due to the unnatural motion of forcing a rounded back position, while planks allow you to maintain the natural curve of the spine and build a lot of strength! Check out the video for 5 plank variations that you can do to build a rock solid core, burn calories and get the body that you want!